Deal Of The Week – Mini Android 4.2 TV Dongle "SlimTV"
Only 7 days left to get this deal of the week! 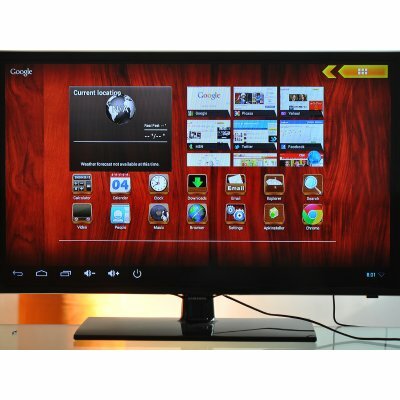 Do you want to bring the super Android power to your big HD screen TV? Well, the “SlimTV” Mini Android 4.2 TV Dongle from Chinavasion is definitely the best dongle to run Android on your living room TV! With a 1.6GHz Quad Core CPU, 2GB RAM, DLNA, Bluetooth and HDMI Port, the “SlimTV” will change the way you interact with your TV. And with 32% off the original wholesale price, this is the perfect time for you to hit “Add to Cart” now. 1.6GHz Quad Core CPU, 2GB RAM – Equipped with a 1.6GHz Quad Core CPU and 2GB of RAM, the “SlimTV” Android TV stick is just incredibly fast! It can easily handle any apps, music, videos, and pictures without any problems. DLNA, Bluetooth – Coming with Bluetooth and DLNA connectivity, the “SlimTV” Android stick gives you plenty of options for over-the-air connections to make data transfer even easier. Android 4.2 Operating System – Thanks to Android 4.2 OS, you can surf the web, set multiple User Interfaces and browse the extremely well stocked Google Play store to enjoy a lot of fun. Check out the Mini Android 4.2 TV Dongle “SlimTV” right now!